Replacement Sign Faces Give Your Business a New Look! 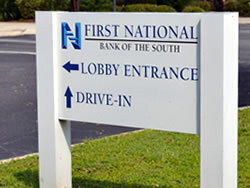 Replacement sign faces are one of the most economical ways to give your business a face lift. Breathe new life into your business by simply replacing your existing lighted sign cabinet. With a new custom replacement sign face you can show business accomplishments, expansion or display new contact information. 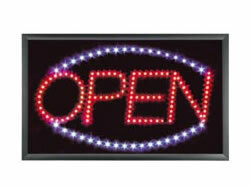 Lighted signs are still very popular for advertising, but make sure you are sending the right message. An old, faded sign face can prevent you from getting the business you deserve. 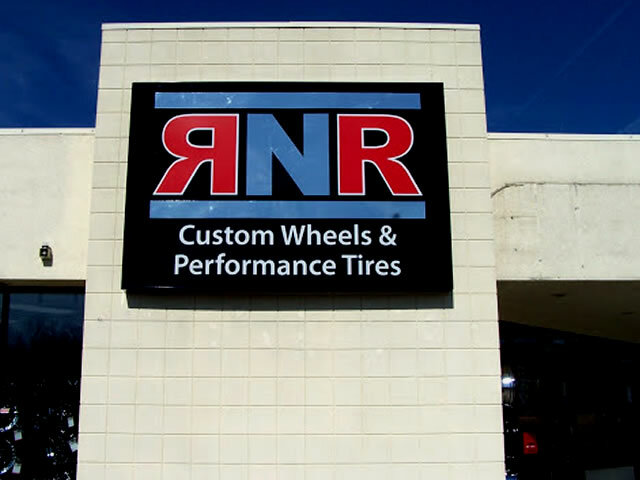 Keep your business image sharp and fresh with custom replacement sign faces. Custom lighted sign faces are huge revenue generators for your business. With their low maintenance and high return, no wonder so many successful business use them. When it comes time to change out your signage, you don't have the expense of a complete sign start up cost. Custom replacement sign faces, simply slide in where your outdated sign face once was. A new replacement sign face will get your business noticed by clientele that may have not noticed you before. Put a custom replacement sign face to work today and see the increase in exposure and business. Acrylic Sign Faces are highly popular when it comes to outdoor illuminated signs. A custom lighted sign face made of acrylic are normally cut to order from 4' x 8' sheets of solid acrylic. Oversized custom replacement sign faces are also available made of acrylic, just requires some additional order time as it is a special order item. If you are in need of a high impact sign face, we recommend one of the options below. Acrylic while extremely strong can crack or break under stress. Acrysteel Sign Faces are much stronger than acrylic sign faces. In fact, they are 10 times the impact strength. It is the perfect replacement sign face for signs located in high wind or extreme weather conditions. In addition, lighted sign cabinets close to roadways would benefit from acrysteel sign faces, due to debris thrown by high these high traffic areas. Lexan Sign Faces are the strongest, toughest replacement sign faces available. Lexan sign faces have 50 times the impact strength as acrylic sign faces. That's remarkable resistence and strength for the cost. 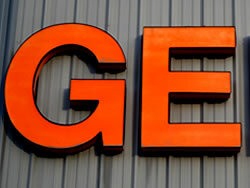 Lexan is commonly used for oversize replacement sign faces, especially lighted signs. If you are in a "high risk" applications where breakage is common or likely to occur we surely recommend a lexan custom replacement sign face. Sign faces, regardless of the material they are constructed of, are available completely flat, pan molded or pan and embossed. Flat signs are commonly 3/16" and as you would imagine maintain that thickness throughtout the entire surface area of the sign face. Pan molded sign faces, extend out pass the lighted sign cabinet, creating a bubble out effect. Lasting, pan and embossed, is the most custom replacement sign face avaialbe. Pan and embossed sign faces allow you to customize your replacement sign face by adding raised graphics and letters to a pan molded sign face. Unlimited proofs with every sign. We send a proof of your design to ensure 100% satisfaction before we ship. Are Replacement Lighted Sign Faces Right for you? Use our material selection wizard to help you determine the right sign material for your needs.